When CheilJedang spun off from Samsung Group in 1993, not many expected the food company would grow into a major conglomerate encompassing retail and entertainment businesses as well. With food and food service; biopharmaceuticals; entertainment and media; home shopping and logistics as its four core businesses, CJ Group has shown remarkable growth and change over the past 20 years. In addition to keeping the No. 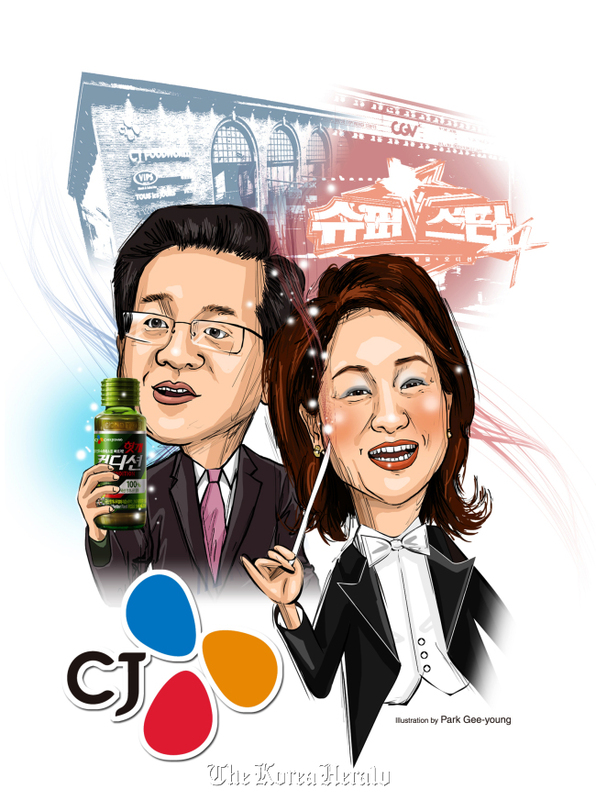 1 spot in the food and bio businesses, CJ acquired Korea Express, the nation’s largest logistics firm, in 2011, and is leading the country’s entertainment and media industries. The history of CheilJedang, now called CJ, dates back to when its founder Lee Byung-chull built a sugar mill in Busan amid the devastation of the Korean War. It succeeded in domestic sugar production in November 1953, lessening the country’s dependence on expensive sugar imports. Soon met with fierce competition in sugar refining, CheilJedang completed a flour mill using its own technologies and Korean-made machinery in 1958 and began production. The company entered the artificial seasoning product market in 1963, with its Mipoong vying against then-bestseller Miwon of Daesang. CJ developed mass-production techniques for a seasoning product it called “Dashida” in 1975 and nucleic acid for the first time in Korea two years later, which became a stepping stone for the seasoning industry. Dashida, which came in beef, fish and anchovy flavors, was a gustatory delight for ordinary Koreans who weren’t well off. In the 1980s, CJ expanded to processed food items such as beverages and frozen foods, and entered the pharmaceutical business based on new advanced technologies. The company reached out to overseas markets in the 1990s by building lysine and synthetic seasoning plants in Indonesia. Upon separation from Samsung Group in 1993, the food company made a transition to a life and culture group. CJ had diversified business prior to the spin-off by entering the pharmaceutical, bio and chemical industries. In 1996, CJ Group was launched. With hit products such as instant cooked rice Hetbahn, hangover drink Condition and cultural content including cable TV talent show “Super Star K” and the M-net Asia Music Awards, CJ has become a lifestyle leader. CJ introduced the nation’s first multiplex theaters CJ CGV in 1998 and acquired a home shopping channel in 1999 to create CJ O Shopping, Korea’s top home shopping network, and changed its name to CJ in 2002. The group established a holding company in 2007, launched CJ E&M in 2010, and acquired Korea Express in 2011. The company with annual sales of 1 trillion won ($916 million) when it spun off from Samsung Group has now become a conglomerate targeting 33 trillion won in sales this year. “Only One” is a key motto of CJ Group, especially when it enters a new business or develops a new product. Determined to create unique products and content, CJ pioneered the instant cooked rice and hangover drink markets with Hetbahn and Condition. CJ also introduced CJ Food World, a space that offers CJ Foodville’s dining, coffee shop and bakery brands such as VIPS, A Twosome Place, Bibigo, Seafood Ocean, Fisher’s Market, American franchise Cold Stone Creamery and Tous les Jours as well as diverse organic or healthy food products, in Korea as well as in China’s Beijing, hoping to spread its advanced food culture. In the bio business, CJ retains its lead in the global market for amino acids used in animal feeds thanks to having the world’s top production technologies. With its “Only One” technological prowess, CJ makes more than 1 trillion won in yearly sales from the market, which had previously been dominated by Japanese companies, and targets over 2 trillion won ($1.8 billion) in sales this year. The $400 million factory in Shenyang, China, starts production this year of amino acids for animal feed such as lysine and threonine, as well as nucleotides used to enhance food flavors. With the Shenyang plant, CJ CheilJedang expects to command one-quarter of the global lysine market and become the world’s No. 1 producer. Another lysine plant currently under construction in the U.S. state of Iowa is also scheduled to begin production this year to help it reach a global market share of 30 percent. The company’s Hetbahn, various Korean condiments and fermented foods such as soybean paste also grabbed attention in the U.S.
CJ’s “Only One” culture stands out most conspicuously in the media entertainment industry. Having spearheaded the development of Korea’s film industry by introducing multiplex theaters in 1998, CJ Group is now developing what it calls a “cultureplex” that houses eateries, performance halls and shops that sell CJ O Shopping’s hit products in addition to a multiplex. CGV Cheongdam Cine City, which opened in 2011, is an example. In 2010, CJ E&M was established through a merger of CJ Media, CJ Entertainment M-net Media, On Media and CJ Internet. Having set 2013 as the starting year of innovation to achieve its vision for “Great CJ” by 2020, the group is speeding up efforts for global expansion. By that year, the conglomerate aims to reach sales of 100 trillion won, 70 percent of which will come from abroad, and become the world’s No. 1 in at least two of its four core businesses. Aiming to establish itself as a “global company that creates culture” by spreading hallyu worldwide through food culture and cultural content, CJ is reaching out beyond Asia and North America to Europe. CJ Foodville is at the vanguard of global expansion by taking Korean food abroad. Since opening a Tous les Jours store in Los Angeles in 2004, it has opened more in China and Vietnam where it maintains double-digit sales growth each year. The bakery brand also launched in New York. Bibimbap restaurant Bibigo, which has opened in Los Angeles, Beijing and Singapore since 2010, opened its first store in London in July last year, grabbing attention during the London Olympics. “Spreading the Korean food culture worldwide by making bibimbap a global brand would not only contribute towards CJ’s growth but also raise Korea’s national brand image,” a CJ official said. Other dining brands such as VIPS and A Twosome Place are increasing stores across Asia, mostly in China and Vietnam. CJ O Shopping found its future growth engine abroad from the very beginning. Starting with China in 2004, it entered India in 2009, Japan and Vietnam in 2011, and Thailand and Turkey last year. CJ Korea Express and CJ GLS have been serving as the neural network of CJ’s global business by handling international logistics for all of its affiliates. Having exported Korea’s quick delivery system to India, Vietnam and Thailand, CJ GLS plans to expand service across all of Thailand by 2016. CJ E&M’s K-pop content business has been in the limelight for some years, with its “M-net Asian Music Awards.” First held in Macau in 2010, MAMA became the top music show in Asia, with last year’s MAMA in Hong Kong being viewed by more than 1 billion people worldwide. CJ Group’s global expansion comes from chairman Lee Jay-hyun’s strong commitment. “Regardless of business profits, CJ Group will do its duty to let the world know about our food, shopping, film, broadcast and music cultures,” he said.